My pictures are a commentary on the world, a reminder to try to see the joy in every moment. Feel the pain, and let it not be the only thing that defines you. Use your intellect, and remember to play. Each of my collections of paintings are exploring elements of life, especially those elements full of delight. I create in order to explore and share delight, and I hope you will find joy in these pages… Click on the pictures below for more! Or visit my online portfolio for a selection of other artworks. 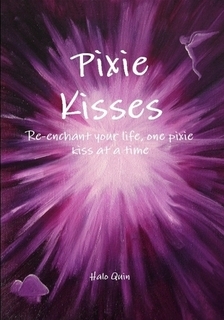 A short book guiding you through how to find the fae magic of delight in your own heart. Enchantment in little kisses… week by week mini-adventures and projects to show you how to bring enchantment back into your everyday life. This contains a piece on my journey into Witchcraft. I wrote a piece on Rhiannon as a Faery Queen and the relationship between her and horses. I wrote a short piece on eclecticism in paganism in response to the view that pick-and-mix is the norm. Each contributor wrote on a particular Goddess, mine? 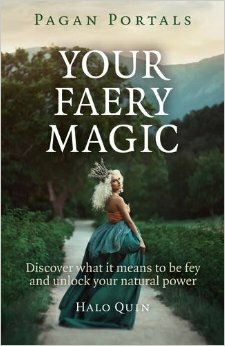 The Faery Queen and why she is a goddess in her own right, as well as an archetype. I write philosophy too! This anthology contains a piece on Heidegger’s notion of world and why I think art can help us change said world! ‘Not My Story’ – Short story published in Future Earth Magazine, volume 5, available to download for free here. 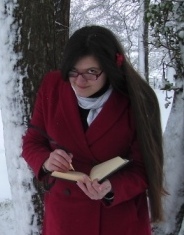 Dragonrise Calendar 2011 – Contributor and editor, alongside other artists Katy Kebbel and Elinor Predota. NPower, Windmill Hill, From 2nd October to 31st October 2010 – a private exhibition with other members of the Swindon Artists’ Forum. Inkspot, Swindon, from December to January 2010-2011 – in a collection from the S.A.F. Swindon Artists’ Forum Gallery, Brunel Centre, From Sept 2010 to February 2011 – A public exhibition in the centre of Swindon. 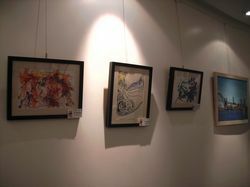 Each month artists share the space to show and sell their art. 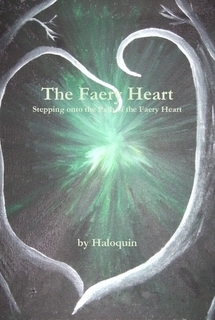 Many of my paintings for this exhibition were used as illustrations for my book, The Faery Heart. Blueman Gallery, Lampeter High Street, October 2012 – The ‘Round the World Tree, Through the Wheel of the Year’ Set! Prints available through my Etsy shop. The King’s Head, Lampeter High Street, November 2012 to April 2014 – The ‘Round the World Tree, Through the Wheel of the Year’ set.